← How in the world did Senator Paul’s attacker get out of jail so easily and with such an incredibly weak charge? 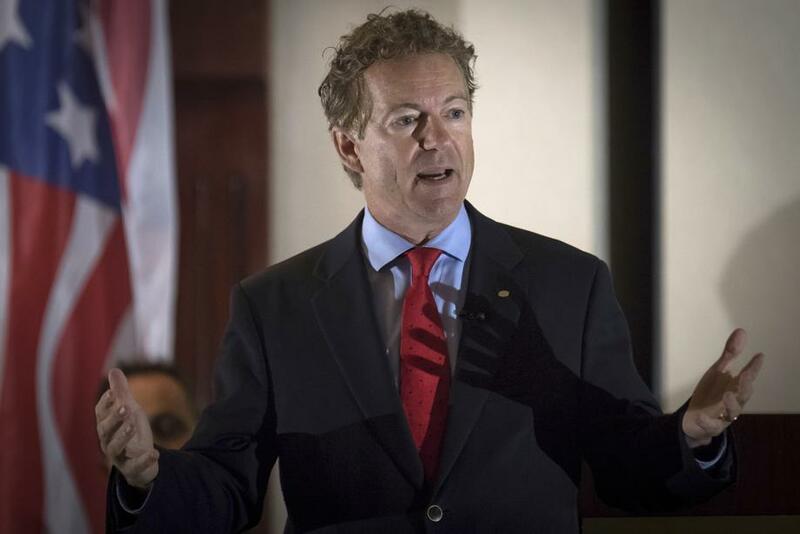 LOUISVILLE, Ky. – LOUISVILLE, Ky. (AP) — U.S. Sen. Rand Paul does not know why a longtime neighbor tackled him in his yard and broke five of his ribs, sidelining him from the Senate, a close friend of the lawmaker said Tuesday. Rob Porter, who says he has known Paul for 20 years, visited the Senator on Saturday just one day after the attack. He said Paul was mowing his yard and had stopped to remove a limb when 59-year-old Rene Boucher, Paul’s neighbor for 17 years, tackled him from behind, slamming him to the ground. Porter said Paul was wearing ear protection and did not hear Boucher coming. For days, mystery has swirled around what led to the assault, from Washington, D.C., to the high-end gated community where both men live. Rumors spread in the community that the attack was stemmed from a festering neighborhood dispute about lawn debris. But Porter said in all the years he has known Paul, he has never heard him mention Boucher or any type of yard issue with his neighbor. The FBI is investigating the assault to see if it was politically motivated. Boucher’s attorney, Matt Baker, said the attack had “absolutely nothing to do” with politics but was “a very regrettable dispute” that was “trivial.” He would not elaborate, saying he needs to “do my due diligence” before offering specifics about the case. Baker said Boucher was uninjured. The attack broke five of Paul’s ribs, preventing him from returning to the Senate this week. A senior adviser said it’s unclear how long Paul will be out of work, noting his injuries could cause life-threatening complications if not treated properly. Boucher was released Saturday from the Warren County Jail on a $7,500 bond. A judge ordered Boucher to stay away from Paul and his family, a decision Baker said was routine in such cases. With Paul still recovering at his home, U.S. Capital Police have met with Baker to discuss security. “They were just needing to satisfy themselves that going forward that there would not be any security issues,” Baker said. Police charged Boucher, 59, with misdemeanor fourth-degree assault with a minor injury. He has not returned multiple calls seeking comment and did not answer the door when a reporter knocked on Monday.